The secret of turning a profit from property investments is buying low and selling high. 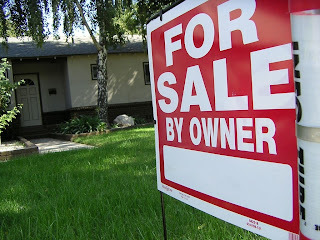 If you have never bought foreclosed homes before, utilize foreclosure-listing services. Of course, being an elderly citizen, you may not have the energy or the time to run up and down your area looking for foreclosure deals. Therefore, use the information provided by firms that provide these services to find properties that you can buy. It is wise to choose houses that require moderate renovations in order to keep the renovation costs low. Unless you have worked in the real estate industry before, do not assume that you know everything. In fact, you should find a mentor with a good grasp of housing industry dynamics. Within a short period, you will gain invaluable insight that would have taken years to master. This is in addition to building a network of professionals in the industry. You can use such relationships to find houses for sale in prime locations before other buyers. Contrary to popular belief, the wealthy do borrow money to finance their business ventures. You too can use the same strategy to build a real estate empire. The trick lies in understanding how portfolio lending works. Normally, mortgage lenders such as banks sell the loans to investment bankers who in turn package and offer them as investments to the public. However, there are certain requirements that one has to meet in order to qualify for a loan. For example, homebuyers have to put up a down payment. This is not the case with a portfolio lender. Because such lenders do not sell the loans to investment bankers, you can borrow as much as 100 percent of the purchase price of a property. The idea of paying taxes does not thrill individuals or business owners. One way of reducing your tax burden is by purchasing rental properties. To start with, you can deduct some of your property's value from your income because the Federal government allows it. Secondly, the IRS considers rental income as passive income meaning you do not have to pay self-employment taxes. By keeping more of the money that you earn, you will maximize rental earnings. This is the increase in value accrued by a property over time. Even carrying out minor renovations can increase the value of your property significantly. Other factors that play a big role in determining appreciation include inflation, supply and demand, as well as economic growth. Avoid the temptation to sell at the first sign of trouble in the housing industry. Over time, your investment will appreciate and return a healthy profit. All it takes to invest in real estate is a willingness to learn and some bit of capital. Start by finding a mentor to help you navigate the tricky housing industry terrain. It is also wise to monitor foreclosures closely and leverage the power of portfolio lending. The good news is you can sell your properties in the future for a tidy profit and enjoy federal tax benefits as well. Joshua Turner is a writer who creates informative articles in relation to business. In this article, he offers a few tips in regards to family finances and property investments and aims to encourage further study with MU Real Estate Degrees Online. It has shown that Property Investing is one of the most successful businesses that many people are now starting to have. The competition grows larger as time goes by. All we need to do is to secure our success and never allow anything to ruin our business. I do agree with your thoughts. Financing is very important as it will find out your profit that you will invest in your property. Today there are many ways to finance an investment property. Regarding this there are many companies from which you can get help or search on the internet as well. These companies help those people as well who lacks funds to purchase investment properties and this is the main reason that investors feel free when dealing with their property investment.